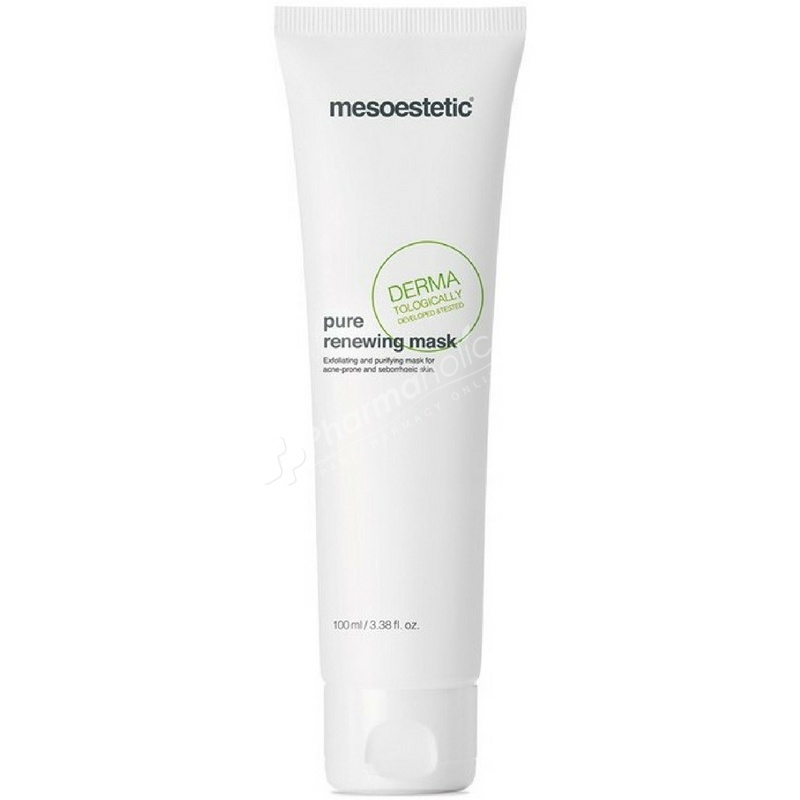 Mesoestetic Pure Renewing Mask is a weekly pore unclogging and purifying facial mask for skin types prone to acne and seborrhea. The incorporation of inert grains in the exclusive m.acne complex™ provide the mechanical exfoliating and cell renewal action for optimal control of oily and acne-prone skin types. -Bexaretinyl complex: Chemical exfoliating retinoid that boosts cell renewal of the pilosebaceous unit. -Kaolin: Exfoliating action and absorption of excess sebum, which improves skin softness. Once a week apply a layer of pure renewing mask on cleansed skin, avoiding contact with the eye contour and mucus membranes, and allow to work for 5-10 minutes. Next perform a gentle friction massage to help the micro-particles carry away the impurities from the stratum corneum. Remove with abundant water.Subsequent application of dermatological sun protection SPF50+ is advised in the case of exposure to solar radiation. Do not apply the pure renewing mask during a period when the patient is being treated with the acne-peel system.